Columbus, Ohio- Ohio State University was attacked by at least one shooter, leaving nine people injured. A suspect was killed. 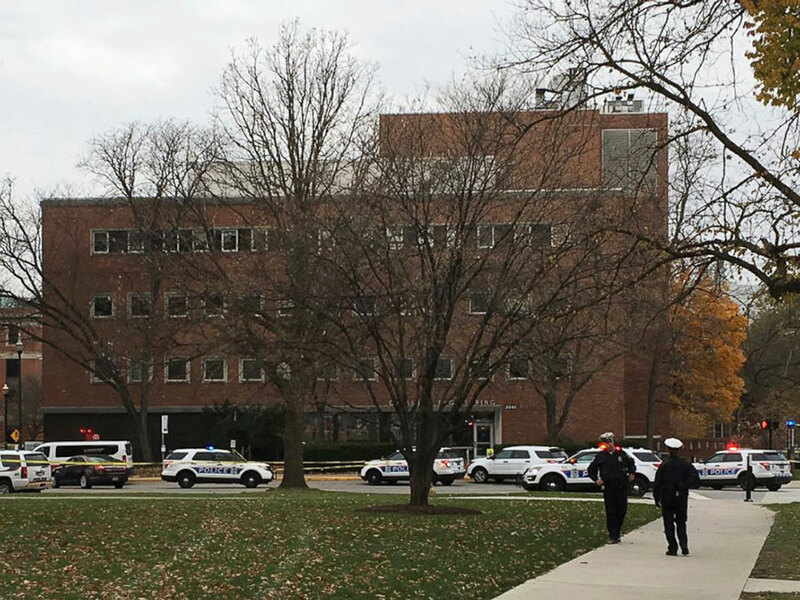 According to the university newspaper, an officer on the scene said there is a second shooter who is still at the university. Among the victims, eight were transported to local hospitals, one of them was in critical condition. The ninth injured was being treated on scene and was later transported to the hospital. A police officer told The Lantern, Ohio State University student newspaper, that another possible shooter could be inside the Lane Avenue Parking Garage on campus. The emergency alert was first issued at 09:56 a.m. through the university’s Emergency Management Twitter account. The tweet read, “Buckeye Alert: Active Shooter on campus. Run Hide Fight. Watts Hall. 19th and College.” Campus police also sent an alert and added that people had to continue to shelter in place and avoid the area of College. There was another alert that ordered people to shelter in place and wait for police officers instructions. Students were also asked to contact 911 only if they had information, reported NBC4 News. At least seven of the victims are stable, reports NBC4. Some of the victims were injured with a large knife, a police officer told NBC NEWS. It is unclear if any of the victims were shot. Four victims went to Ohio State Wexner Medical Center; three are being treated at the OhioHealth Grant Medical Center, and the other two went to OhioHealth Riverside Methodist Hospital., according to Dispatch. Columbus Police, Ohio State Police and deputies along with Franklin County sheriff’s deputies responded to the shooting at Ohio State University. Upper Arlington police ordered Upper Arlington schools to go into lockdown. Due to the situation, no student is allowed to leave the school without a parent or guardian. The Ohio Department of Transportation closed the ramp from northbound Route 315 at Lane Avenue, southbound 315 at Medical Center Drive. High Street Lane Avenue was also closed to westbound traffic. Around 11:30 a.m. the university said that the police had declared the scene secured. All classes in the campus were canceled. Students have taken social media to share images, videos, and information about the situation they just lived on their university. A SWAT team, K9 and bomb squad units, law enforcement and firefighters were on the scene in response to the situation. It took them 1:30 hours to secure the scene. According to the University Emergency Management, the Police continue to process the scene and asked people to avoid the areas between College & Neil, Glenn & Woodruff. The garage and SAS buildings will remain close. Ohio State University in downtown Columbus is one of the nation’s largest campus, with 58 thousand students. Some of them took shelter inside classrooms making a barricade in front of the door while others stayed at their apartments. “It’s honestly kind of terrifying because I was at home and away from my phone at the time,” said Jenny Chen, who stayed in her apartment about two blocks from Watts Hall, listed on the school’s website as a Materials Science and Engineering building.